No one outside of Iran knows the truth about the rogue nation’s nuclear program. Dan Rather investigates front companies in New York aiding Iran’s weapons program, the money-laundering, and other little-known details about the threat. “Iran’s Manhattan Project” premieres on HDNet’s Dan Rather Reports Tuesday at 8 p.m. EST. A nuclear-armed Iran is a foreign-policy nightmare for Washington and like a bad dream, the scariest part is what’s lurking out of sight. Even with stakes that high, reliable intelligence about Iran’s weapons program has been extremely slippery. Take the very fundamental question of how far along the belligerent Ahmadinejad regime is to enriching weapons-grade uranium—the key component to a weapon that would reshape the balance of power of the Middle East. It seems as though every expert, government agency, and fortune-teller has a different guess. Just last week, the U.S. ambassador to the International Atomic Energy Agency told The New York Times that Iran is at “possible breakout capacity.” The report said Iran deliberately stalled on the brink of enriching weapons-grade uranium to show the world it’s capable, but at the same time, avoid provoking a preemptive bombardment from Israel. What conditions have allowed Iran to move billions of dollars through New York, despite a wall of sanctions? But no one outside of Iran knows for sure. One explanation for America’s frustratingly weak intelligence on Iran is that it hasn’t had diplomatic relations in Tehran since the 1979 hostage crisis. Information must trickle in from a patchwork of informants abroad, foreign news reports, and a three-year-old outpost in nearby Dubai, where a team of watchdogs keep vigil over the kingdom’s half-million-strong Iranian community. But even at home, American officials have had an equally difficult time tracking Iranian machinations. Iran has used front companies and New York banks to launder billions of Iranian dollars—some used to advance the country’s weapons programs. Until recently, no one noticed. • Michael Adler: Iran Ready to Talk Nukes?Take Chinese arms trader Li Fang Wei. For months, he allegedly used more than a dozen front companies in New York to purchase materials for Iran’s weapons program—everything from rare metals for bombs and missiles to gyroscopes for centrifuges used to enrich uranium. Manhattan District Attorney Robert Morgenthau, who helped bring the scheme to light earlier this year, told me it was one of Iran’s most important weapons-procurement efforts to date. And it happened right here in New York. There’s another probe by Morgenthau’s office into an Iranian company believed to have direct ties to the country’s nuclear program. Investigators believe the Shahid Bakeri Industrial Group, a company blacklisted by the U.S. government, set up shell companies in Dubai as a way of stealthily accessing New York banks. Through these banks, the Iranian company allegedly made payments to an Asian manufacturer of electronics used in centrifuges—the kind of centrifuge Iran is building to enrich uranium. Then there’s the surprising case of Iranian money laundering that has been overlooked by authorities for more than a decade. The Islamic republic enlisted a New York bank to help it evade 30-year-old sanctions and move billions of dollars through New York. Employees of the venerable British bank Lloyds TSB accepted deposits of Iranian money in its branches abroad and transferred the money into New York, “stripping” information to help conceal its rogue client. U.S. authorities are now trying to determine if any of the money went to Iran’s weapons programs. Morgenthau, who also led the investigation into Lloyds, said several other banks in New York are subject to his probe. Within the month, he expects to announce charges against an even bigger bank involved in a similar stripping scheme. All this begs the question: What conditions have allowed Iran to move billions of dollars through New York, despite a wall of sanctions? Several people we interviewed gave the same answer: Mold grows where there’s no light. And there aren’t enough investigators looking into the dark corners of the international financial market. A source for our story, former CIA officer and terror finance investigator John Cassara, explains it this way: The federal government was still in a Cold War posture, and ill-trained and unprepared to carry out a fundamental tool of law enforcement (and investigative reporting)—following the money. Moving billions of dollars is bound to leave some sort of paper trail. But it’s no help if no one is looking. Rarely have consequences of bureaucratic flat-footedness been so great. Dan Rather Reports: Iran’s Manhattan Project premieres on HDNet on Tuesday at 8 p.m. ET and will repeat several times throughout the week. You can also check our Facebook and Twitter pages for more updates. 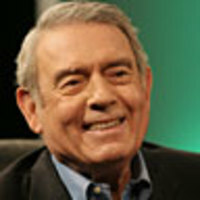 Dan Rather is anchor and managing editor of HDNet’s Dan Rather Reports, which this week, beginning Tuesday night, is airing and investigative report on the problem of private prisons. For 24 years, he served as anchor and managing editor of the CBS Evening News with Dan Rather. His books include The American Dream, Deadlines and Datelines, The Camera Never Blinks, and The Palace Guard.